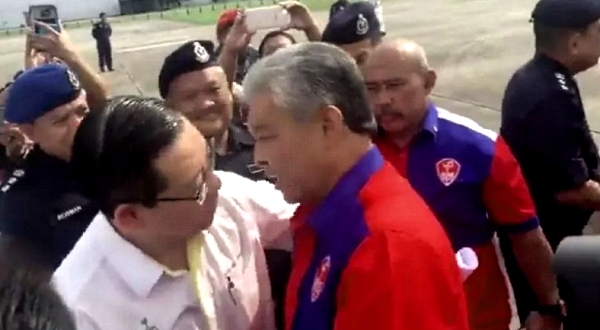 MCA sec Gen makes stupid excuses and Met Malaysia is Silent. MCA Youth Chief shoots himself in the foot and does not even know what he has done yet. Only the scum in politics will use a natural disaster to try and gain political mileage out of it. MCA's Sec Gen Ong Ka Chuan to try and save face has insulted himself, his party and his Youth Chief by comparing this 43 year old man with a juvenile delinquent. What happened in Penang can happen anywhere in Malaysia but Penang is more exposed as it lies in the northern part of Peninsular Malaysia, and very rightfully as the Deputy PM put it it is time to put Politics aside. The unusually heavy rainfall was cased by a tropical disturbance and one has to understand these types of "Tropical Disturbances" before making sarcastic and insulting statements in an effort to gain political mileage. 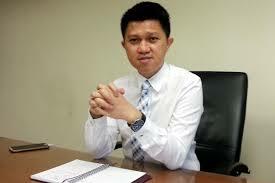 MCA secretary-general Ong Ka Chuan is either a damn fool or he takes the Penang Chinese to be damn fools,. When asked whether the party would take disciplinary action against the party's youth chief Chong Sin Woon over his remarks to Lim Guan Eng saying, "the diety like Lim Guan Eng should not fight the Heavens amid the floods." 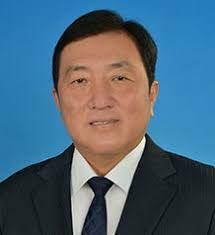 a remark clearly designed to insult the Chief Minister which was totally uncalled for and insulting not only to the CM but the people of Penang especilly he Chinese, Ong Ka Chuan replied saying , "after all he is a young man who can be hotblooded." What a stupid excuse. To equate Guan Eng with a Tokong is to insult the Chinese of Penang those who voted Guan Eng in, he is implying the Chinese treat Guan Eng as a Diety. The people of Penang do consider Guan Eng their Hero yes, the Hero who came to free them from the corrupt clutches of the BN. MCA is dead and the dead can't be resurrected. Young Man? and is hotblooded? Is that the excuse for a Youth leader of a party that is supposed or rather claims to represent the Chinese? Looks small for the Chair in all respects. Perhaps Ong Ka Chuan is ignorant of the fact, that the President of France today Emmanuel Jean-Michel Frédéric Macron is 39 years old, and that is old enough to look after one of the most powerful countries in the whole world. If Ong's excuse is acceptable then the majority of France must be idiots. Ong says, "hopefully people can understand and not take it to heart he is only 43 years old," yes "only 43" years old and is the head of the MCA Youth movement. Do not hide behind the tag "Youth" because the real definition of Youth places them in a category of up to about 25 years old at the most. In fact the United Nations, for statistical purposes, defines those persons between the ages of 15 and 24 as youth..." and any dictionary will give you a similar meaning. A man at the age of 43 cannot be described as "a young and hot blooded man," it clearly shows the attitude of MCA leaders and how they think. If at 43 you are implying he is immatured one wonders what quality MCA has. At his age many a man even in Malaysia have attained the position of CEO and other "C-suite positions " of fairly large companies, so how can he describe this man be described as as young? Ha he got a problem Chong or have you got one? Stop these misleading statements , learn how to discipline your politicians, they should be responsible people and as they should be trained to serve and respect the rakyat, or is it different in the MCA? Any politician or political party that uses or allows its members to use natural disasters for political mileage are not politicians but gutter snipes of the lowest order. I take my hat off to Zahid the DPM (although he is not some one I admire politically), for the stance he took in this case. I'd like to personally salute that stance he took and the call he made that it should not be political. Tabay for once, and I mean it Datuk. LET US UNDERSTAND WHAT HAPPENED AND WHAT SHOULD HAVE HAPPENED. I'll not try and explain this but let me remind readers that Malaysia has been hit by tropical storms of this nature including the great floods of 1969 that affected almost the whole country. Why was the early warning system not Triggered in time. There is in Malaysia an early warning system for such occurrences and yet what happened in Penang was not reported well in advance for the right authorities to take appropriate action. Tropical Depression(TD) Warnings and TD Advisories (for TDs which are significant enough) are disseminated to the disaster management agencies via short message system (SMS), facsimile and telephone calls. The public can access the TD Advisories/Warnings through the Internet, social media(Facebook and Twitter), live media broadcast, TV, Radio and the print media. The above does not come under the purview of the Penang State government but the Malaysian Meteorological Department(MetMalaysia) Ministry of Science, Technology and Innovation. 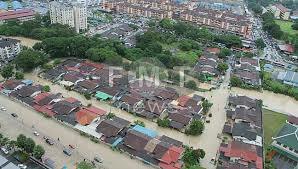 No report indicates that the Penang Government was made aware of these unusually heavy rains and potential life threatening floods. 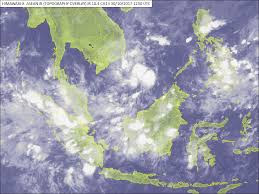 Thsi early warnig system comes under the Malaysian Meteorological Department(MetMalaysia) Ministry of Science, Technology and Innovation and no one in Malaysia seemed to have the slightest inclination of this happening, but then again could this have been a freak occurrence? If it was a freak occurrence there could still have been some warnings prior to the storm if monitoring was present, so to try and put the blame of a Natural disaster on the Penang Government could be akin to saying since MH370 flew over Penang, Penang Government must be responsible. Now Liow is up and about pretending that the MCA is going to wipe the DAP out in the next elections, these are separate issues. this si a natural disaster and beyond the control of the Penang Government it is what is often referred to as an Act of God. The elections wil not be an act of God it will be an act of man. Malaysians are more confident than ever, havign aken out the popular vote,a t the last elections from Najib, that this time around with the increasing number of Malays in the opposition - thanks to Mahathir, the BN days are its very end, what more MCA will come out without a single seat in Parliament and Najib knows that too well too, the research carried out by UMNO reveals, the party to be wiped out this time is MCA and so he has asked them for 15 seats to be appointed to the cabinet, hoping against hope that they can bring in at least 5. He is equipping them with the threats they have to take to the Chinese, one of it being if the Chinese do not support him he will turn Malaysia into an Islamic state with PAS, but the stupid MCA does not realise that even in Saudi Arabia they are now trying to undo the strict adherence to the Sharia Law, and that PAS is a spent force which even Hadi has recently acknowledged, when he said PAS is not about winning seats. To the young and innocent MCA members who are being taken up by lofty ideals please remember this, desert the fallen cause now, have some pride, save the people of Malaysia and do not threaten the Chinese to get what you want. Most importantly do not be on the wrong side of the wall when this government falls because it is going to fall at the next General Elections. Is the Penang Government to blame? It is quite clearly no fault of the Penang Government, but the Penang Government is not blaming anyone else for it either and the reasons are quite obvious, that is not important for now. There just isn't any time for that, the priority is the people of Penang who are affected, not blame games and The Penang Government is aware of it. This natural Disaster could have been foreseen at least 8 hours before it occurred, the Meteorological Department which comes under the Ministry of Science, Technology and Innovation did not give Malaysians and the people of Penang adequate warning to prepare for these storms, anyway, that should be dealt with later after the aid and other measures are taken to mitigate the current crisis, in the meantime the Met has to do more serious monitoring, and keep people informed as the season of this depression is yet to be over.